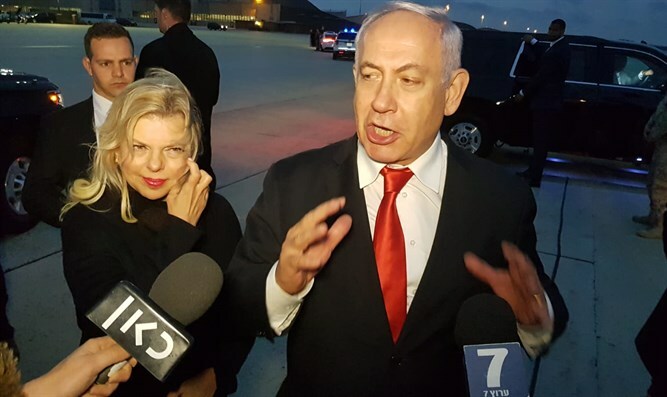 PM Netanyahu landed this afternoon, Tuesday, at Ben Gurion airport after his visit in Washington, and headed straight to a security consultation at the Kirya army base in Tel Aviv. A senior Israeli official on the prime minister's plane referred to the wave of IDF attacks in Gaza in response to the recent rocket attacks on Israel from Gaza, emphasizing that "There is no agreement on a ceasefire, we are prepared to do even more." During the flight, Netanyahu was in constant contact with IDF Chief of Staff Aviv Kochavi. According to the official, the order given to the chief of staff was to continue attacking, and offices, factories and senior Hamas officials' bureaus were attacked, among other things. He called the attacks "The hardest hits since Operation Protective Edge. We attacked last, and they did not respond."